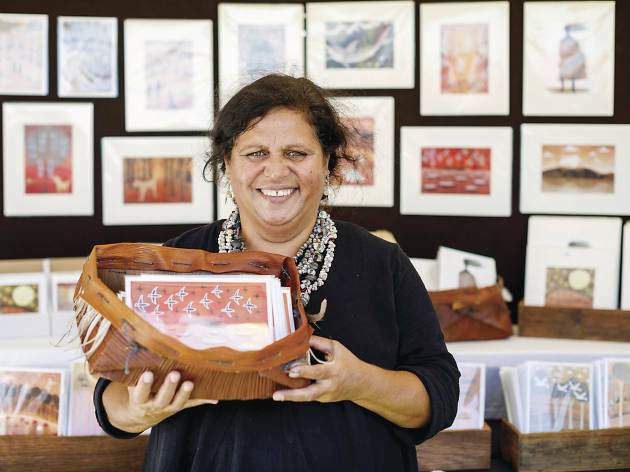 Presented by the Blak Markets, this two-day art fair features market stalls from 22 remote Indigenous art centres – including South Australia’s APY Art Centre Collective, Alice Springs’ Tangentyere Artists, and Western Australia’s Warnayaka Art Centre – plus 30 local stallholders. It’s not just a market to browse, there’ll be bush tucker demonstrations that you can learn from, live music to enjoy, and communal weaving and painting workshops so you can try your hand at traditional art practices. The watercolour workshop will be taught by Iltja Ntjarra Art Centre and the ochre painting workshop will be taught by Warnum Art Centre. The weaving workshop is by weavers from communities across Australia including the fibre weavers of Gapuwiyak Culture and Arts and the Tjanpi Weavers. Maddison Lyn, with dance performances by Wagana Aboriginal Dancers and Redfern Dance. 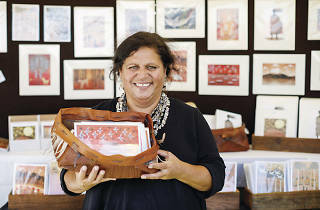 The event is supported by First Hand Solutions who’re offering the space to Indigenous artists in an area that’s packed with stores selling fake Aboriginal artwork, which is often made overseas. At this event you can guarantee that you’re purchasing directly from the people who made the products and ensuring profit goes back to those communities. Find more ways to celebrate NAIDOC Week in Sydney.